At last, it’s finally happened! 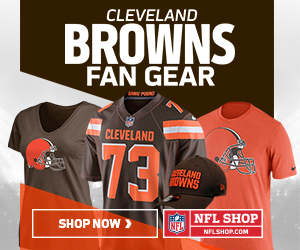 All off-season many Cleveland Browns fans have been predicting that former first-round pick Corey Coleman would be shown the door in Cleveland after a very disappointing couple of years. Corey Coleman was drafted by the Cleveland Browns 15th overall in the 2016 draft and was the first selection by then GM (not his actual title but basically what he was) Sashi Brown. This is the pick that you’ll hear all the hindsight warriors banging on about even more now than they already have been as it’s the one they received from the Philadelphia Eagles who moved up to take Carson Wentz #2 overall that year, just behind Jared Goff who went to the Rams. Just a heads-up as many Browns-bashing dickheads will love being able to spout this shite once they hear it from their source of NFL news. At the time of writing this, it’s only being reported as an undisclosed draft pick that the Browns have received from the Buffalo Bills in return for Coleman but it is also stated that it’s just a late round pick they’ve accepted for him. If it is indeed a late round pick it’s pretty obvious that new GM John Dorsey just wanted him out of Cleveland and would accept anything to get rid. Coleman, if he can stay healthy, will likely go in and be a starter for the Bills along with other former first-rounder Kelvin Benjamin who the Bills traded a 3rd and 7th-round pick for in 2017 from the Carolina Panthers. The Bills now have two receivers with sky-high potential but who have not really lived up to their first-round draft selection hype. This move has been coming for quite some time now and I can’t imagine many Cleveland Browns fans will be disappointed by it’s happening. They might be annoyed at the value they got in return for him but, let’s be honest, the new FO just wanted rid of him. Corey Coleman has flashed some good skills and great potential but he’s just not been on the field anywhere near enough considering his draft selection and what he was brought in to Cleveland to be. He got injured in the preseason of the 2016 season then broke his hand during that regular season and missed three weeks. He then broke the same hand in 2017 and missed more weeks with it after having surgery. What use is a wide receiver with a history of a broken hand in both of his seasons in the NFL? Not much, I’d say! It’s difficult to believe that people get put in positions and get paid lots of money and can be this bad at their jobs. Anyway, as I’ve already said, this move will only come as a surprise to non-Browns fans as the talk of Coleman being shipped out of Cleveland has been going on for ages and is, in my opinion, yet another great move by this impressive new front office. So who does this currently leave on the Browns roster at the wide receiver position who will likely make the regular season roster? That’s only five players I can see making the roster, which doesn’t look great. Jarvis Landry is looking fantastic in training camp and will lead the unit with Josh Gordon and Antonio Callaway having great ability but suspect characters. Jeff Janis is talked about as being nothing more than a bit-part-player on offence but a good special teamer, so that leaves Rashard Higgins at this point. I really like Higgins after watching him last season. He flashed some great play and I hope that continues into 2018 as I feel he could play a big part in this new look offence. I also hope Josh Gordon and Antonio Callaway have matured quite considerably and if they have, we’re looking good to go. If they haven’t, that unit looks shaky as hell! So, Dez Bryant. Does this move open up the discussion about the Browns bringing Dez Bryant in for a season to add more obvious talent to the receivers unit or would he be just yet another attention-seeking drama queen added to an already fragile looking unit? What do you think? Let me know in the comments below. Or maybe the OBJ to Cleveland talk will start up again as he and the Giants still haven’t agreed on a contract extension over there in New York. What do you think about that as a potential move? Would you welcome it or do you think it would cost the Browns far too much to get him? Again, let me know in the comments below. At this stage, I wouldn’t be surprised if we see another move made by Dorsey and his front office with regards to adding someone to the wide receivers unit. When who and how remains to be seen, though. Is DeShone Kizer the Future in Cleveland?